Home > For Children 0 to 12 yrs > 8 - 10 yrs. pre-teen readers. What has six legs, two sets of wings, and a zany teacher at the wheel? The Magic School Bus as a tiger beetle! Join the class and learn amazing insect and spider facts. When Veronique brings her new ladybugs to school, she just wants Mlle Bille-en-Tete to give her some hints on caring for her insect pets. Instead, the whole class gets field trip. They find out pretty quickly that lots of insects eat other insects for lunch. And, there is a little issue of spiders, too. Yikes! It might be disgusting, but Veronique has to admit that the world of insect invaders is amazing..
LDF Notes: This collection is for science and animal lovers. The Magic Bus takes the reader on incredible adventures where he or she will learn actual scientific facts and trivia. Catastrophe ! les deux coccinelles de véroniques se sont échappées dans la nature.Et la mygale de raphaël aussi. 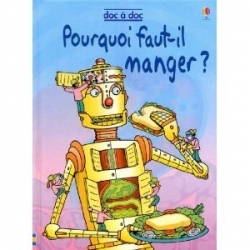 Notes LDF: Une collection pour les amateurs de sciences et d'animaux. 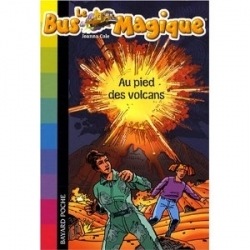 Le Bus Magique enmene les lecteurs dans d'impossibles aventures ou ils decouvrent des informations et faits scientifiques. Description: Soft Cover - 94 pages - 5x7 in. Le Bus Magique: Qui mange qui? 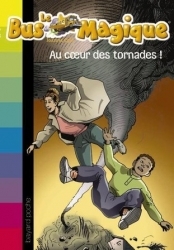 Le Bus Magique: Au coeur des tornades! Le Bus Magique: Les microbes attaquent!